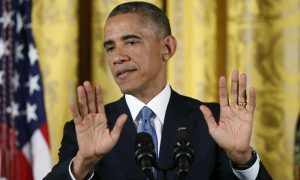 In November 2015, President Barack Obama told a G20 press conference that proposals to give priority status to Christian refugees from Syria were “shameful.” He said, “We do not have a religious test for our compassion.” Now he is criticizing President Donald Trump for making good on this initiative. What is really shameful is Obama’s hypocrisy, and that of his supporters. According to the logic of Trump’s critics, Obama employed a religious test to keep Syrian Christian refugees out of the United States, something that Trump is now seeking to rectify. Moreover, those refugees were created, in large part, by Obama’s failed Middle East policy. Obama’s policy of giving priority status to Muslims was so blatant that it caught the attention of U.S. Court of Appeals Judge Daniel Manion. Trump’s executive order was written to stop refugees from Syria and six other Muslim-run nations—it did not single out Muslims. And if it were a “Muslim ban,” then all nations that are predominantly Muslim would have been named, but they were not. Should Christian refugees be given priority status? Absolutely. 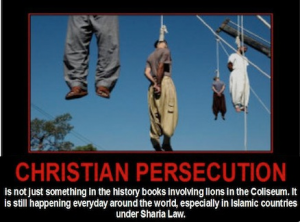 There is one overriding reason: they are the most persecuted people on earth. It is not compassionate to treat every religion equally when the distribution of the victims of religious persecution, and the reasons for it, are so egregiously unequal. Millions of Christians were murdered under Hitler, but they were not targeted for genocide the way 6 million Jews were. That makes a difference. An Italian research institute, the Center for the Study of Global Christianity, recently released a report on Christian persecution worldwide finding that 90,000 Christians were killed in 2016. It concluded that this means one Christian is killed every six minutes. 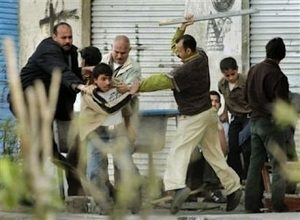 Open Doors, the world’s largest outreach organization to persecuted Christians, found that aside from North Korea, it was in Muslim-run nations where Christians were most likely to be victimized. The Islamic Republic of Pakistan [note the name] killed more Christians because of their faith in 2016 than any other country. 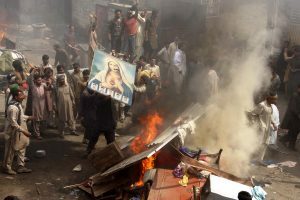 The U.S. State Department’s Commission on International Religious Freedom recorded in its 2016 annual report that “More people are on death row or serving life sentences for blasphemy in Pakistan than in any other country in the world.” It detailed the violence of Muslim-run nations against Christians. Pew Research Center cites a survey from October where it found that the majority of Americans believe the U.S. does not have a responsibility to accept refugees from Syria. Of course, decisions on such an important humanitarian subject cannot be guided by polls alone—moral issues demand presidential leadership. No matter, the survey results should temper those who are now claiming that President Trump has opened Pandora’s box; he is doing what the people want. Moreover, that box was opened by Obama when he gave preferential treatment to Muslim refugees, victims who were themselves victimized by his disastrous foreign policy decisions. Trump’s corrective is in direct response to these realities.